Students and Institutions: All applications have been moved to the new AIEF website. Please go to www.aiefprogram.org to learn more. can ill-afford pencils or paper for their children, and a college degree seems like an impossible goal. Yet with the help of generous donors across the country, the American Indian Education Foundation (AIEF) program helps make the dream of education — and a better future for all Indian peoples — come true. To help young Native Americans get off to a good start each fall, we distribute basic supplies to preschools, elementary schools, and secondary schools serving reservations in the Northern Plains and Southwest. The AIEF program also helps vocational and technical schools provide professional supplies for Native American students who choose to learn a trade. 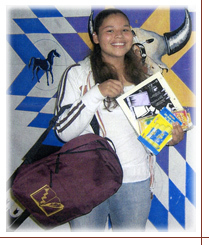 We follow up on the School Supplies service by providing scholarships to Indian peoples pursuing higher education. In fact, the AIEF program is one of America's largest grantors of scholarships to Native Americans, supporting more than 225 students each year. More than 95% of our scholarship recipients go on to another year of college, compared to only 20% of other Native American students. 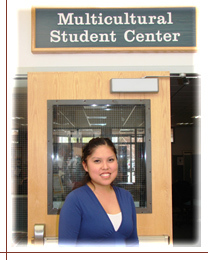 Scholarships, mentoring, and encouragement from AIEF help Native American students achieve their dreams of higher education. The Emergency Funds service provides small grants to selected colleges, which can then assist students with expenses that might otherwise threaten their ability to stay in school. Through the Tools of the Trade service, the AIEF program offers small grants to vocational/technical schools so they can provide professional supplies to Native American students. We target some of the most remote and resource-poor areas in the United States. When the bright, motivated students in these communities have the encouragement and the tools they need to succeed in school, the sky's the limit!